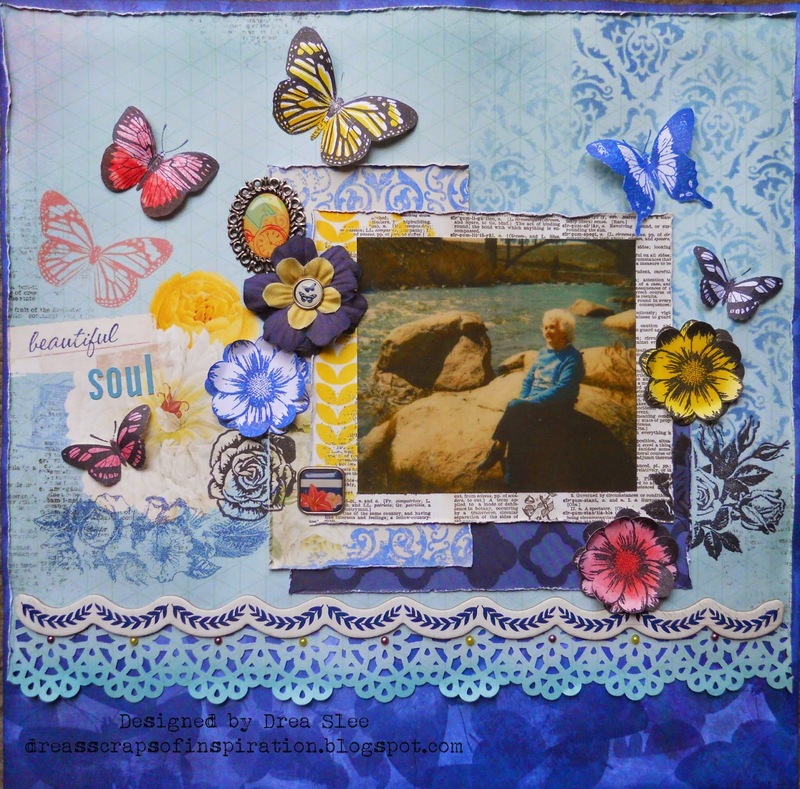 Bo Bunny's new Flutter and Floral stamps are SO awesome, that I wanted to showcase them here in this layout that I scrapped of my late great grandmother using Sweet Life I Want It All Bundle from FotoBella! 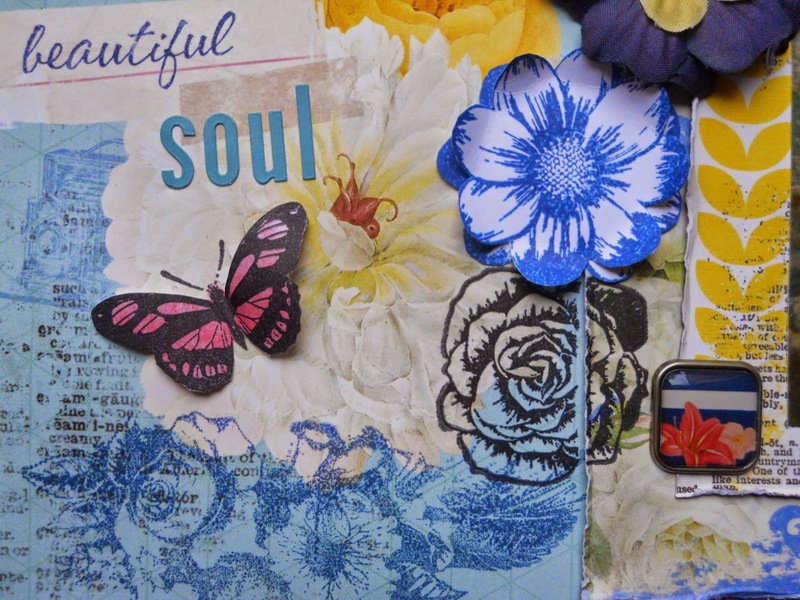 I started by masking the pattern on the right with the Tim Holtz (Gothic) stencil, and Distress Inks (Faded Jeans and Chipped Sapphire). Then I used a deep punch along the bottom, adding pink and yellow pearls that I got from the Ephemera, to the flower centers. Right above the punchwork I added the Chipboard blue scallop border. The blue and yellow flower, oval embellie above it, and blue papers under the photo also came from the Ephemera pack. 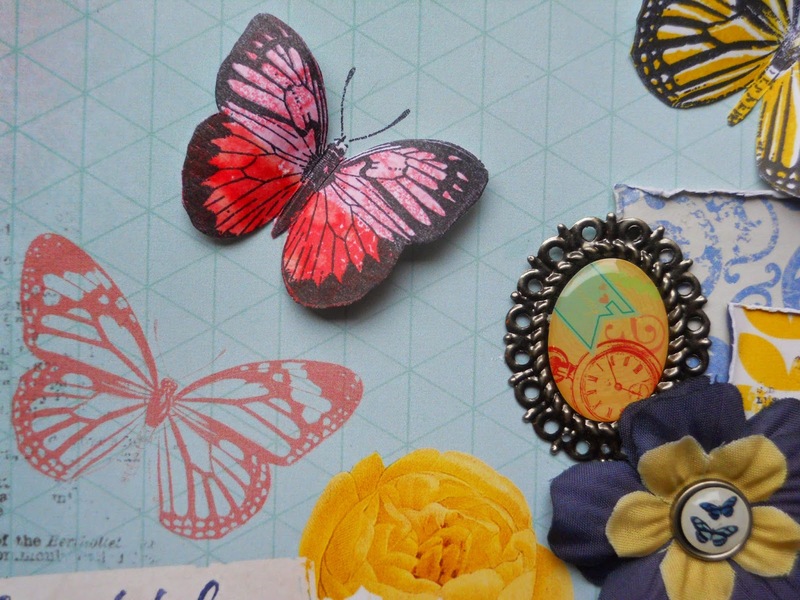 I added the butterfly brad to the flower and the square brad to the newsprint (Spring) paper. To complete the title I used the Alpha Stickers that come in the 12 x 12 pack. The rest of the embellies were stamped. Here's a closer look! 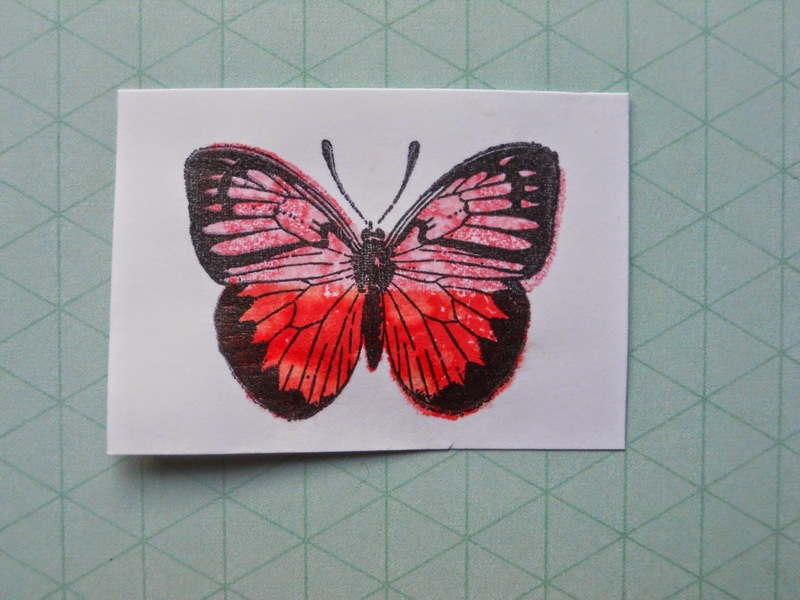 I didn't even realize until I got them that the Flutter Stamps have layers, so you can color your butterflies first, and then stamp over them with another layer. 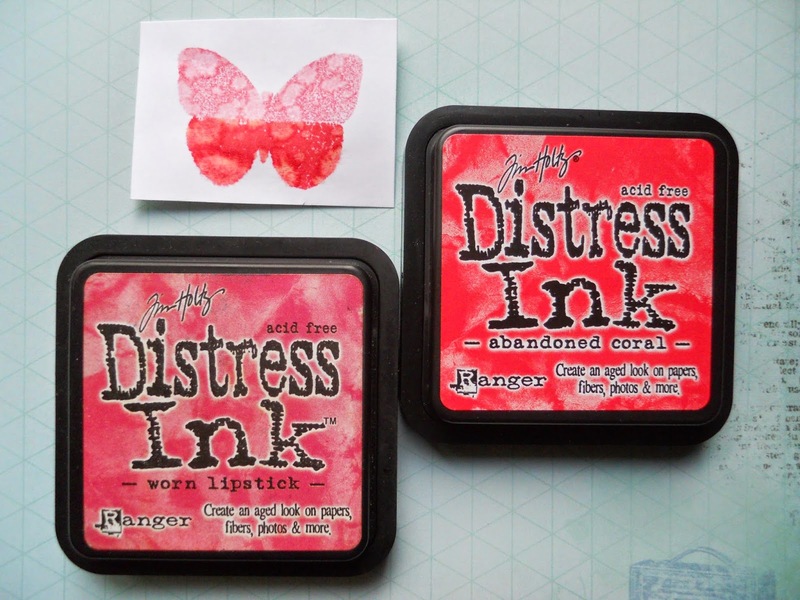 To make the pink one on the top left, I stamped directly onto the new Distress Ink (Abandoned Coral) along the bottom of the wings, and (Worn Lipstick) on top. Then I splashed some water drops on it and dried it with my heat gun. Fussy-cut your butterfly, cutting off the antenna. Make some score lines along the sides of the body and curl your wings. Once you figure out where to place your butterfly, use some scotch tape to cover the butterfly wings, revealing only the antennae, and ink with black. Take off the tape and stamp the antennae, gluing down the butterfly body only so the wings can curl up and be free.